What is the PROJECT ALL ABOUT? 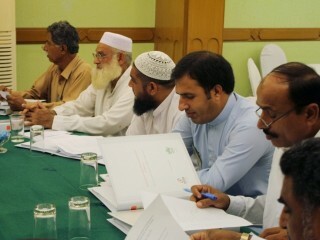 “Strengthening Alternative Dispute Resolution (ADR) mechanism in Karachi” is a joint project of Sustainable Peace and Development Organization (SPADO) and National Center for Dispute Resolution (NCDR). The United States Institute of Peace (USIP) has funded this project. 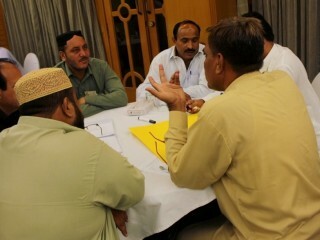 The primary objective of this project is to introduce a robust ADR mechanism in three conflict prone communities in Karachi – Korangi, Sultanabad / Hijrat colony and Jamhoria colony in one-year duration, through capacity building of local communities, religious leaders and police official in mediation and dialogue. 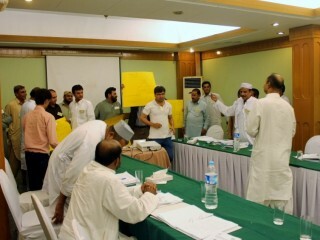 Thus, this project will help to prevent violence and extremism by raising awareness and providing access to alternate dispute resolution mechanism at community level within Karachi. 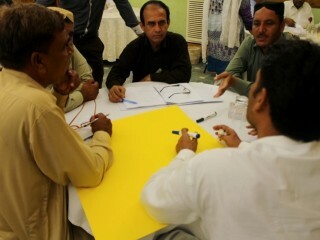 The project has trained 27 representatives of local community leaders in mediation and conflict management skills. 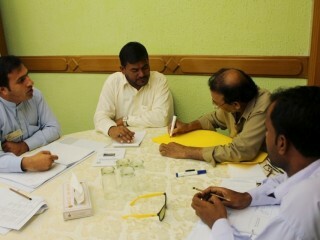 Most of the participants belonged to small local business; shop owners and some were working professionals as well. 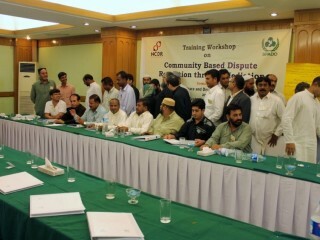 SPADO and NCDR conducted training for Police officials. The objective of the training was to develop capacity of representatives of local police in mediation and conflict management skills. 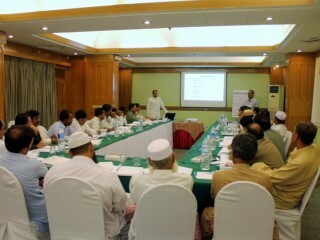 25 Police officials attended the workshop from various units of Sindh Police. WHAT DOES THE PROJECT OFFER? 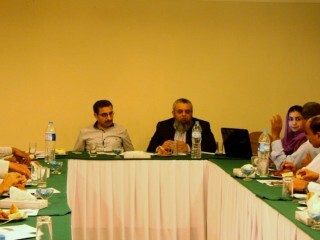 A manual on mediation and dialogue. 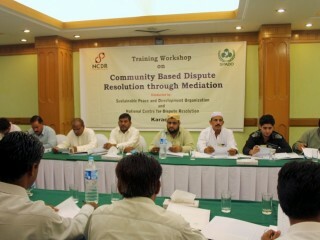 Training of Community Leaders, Religious Leaders and Police officials in mediation and dialogue. 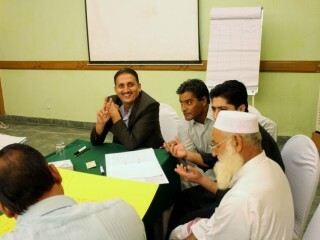 Raising awareness about ADR and peacebuilding. 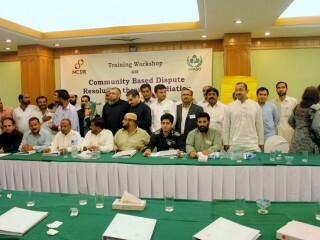 Establishing ADR mechanism in communities. 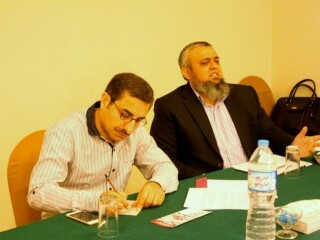 The project has developed the capacity of 24 representatives of local religious leaders in mediation and conflict management skills; both Muslims and Christians attended this workshop. 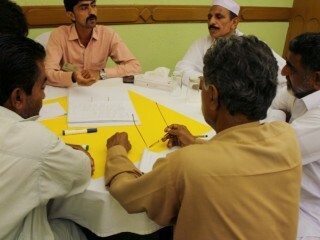 SPADO and NCDR conducted meetings with the trained community mediators in order to collect feedback, stories about the cases resolved or conflict prevention efforts taken by the trained mediators. 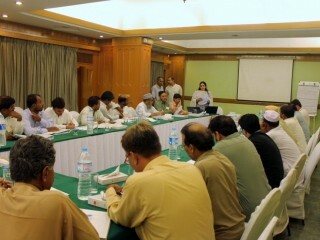 Furthermore, regular meetings were arranged with various key stakeholders – local community, political workers and police officials in the respective communities for mobilisation and awareness generation on ADR and Mediation. 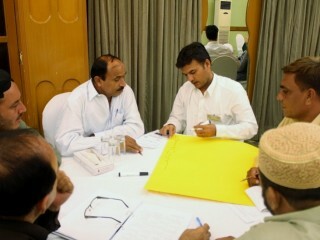 Collaborative workshops was conducted for local Mediators and Police stations staff. The key objective of this workshop was gain consensus and collaboration for both the mediators and police station staff (varying from low to mid-level staff who interact with the communities on regular basis) so as to work together. This was done for each area so that all the stakeholders could become well aware about each other and their respective roles and responsibilities for mediation efforts in their communities. A combined collaborative workshop was conducted for the mediators and police station staff from all the three areas and that will help to lead to the setting up of proper mediation mechanism in communities.